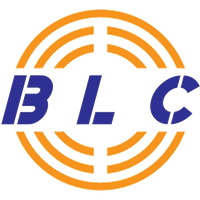 Blakecoin, BLC, was founded back on 12/02/2014 and runs without being controlled by a single administration, such as a central bank. The decentralized crypto currency Blakecoin can be mined for profit. It uses the Blake algorithm and the proof of work (pow) consensus. Blakecoin are on social networks such as Twitter, so check them out to keep updated with the latest news. We don't have any cloud miners listed for Blakecoin yet, check back soon! We don't have any exchanges listed for Blakecoin yet, check back soon! We don't have any wallets listed for Blakecoin yet, check back soon! We don't have any debit cards listed for Blakecoin (BLC) yet, check back soon! We don't have any price charts listed for Blakecoin yet, check back soon!